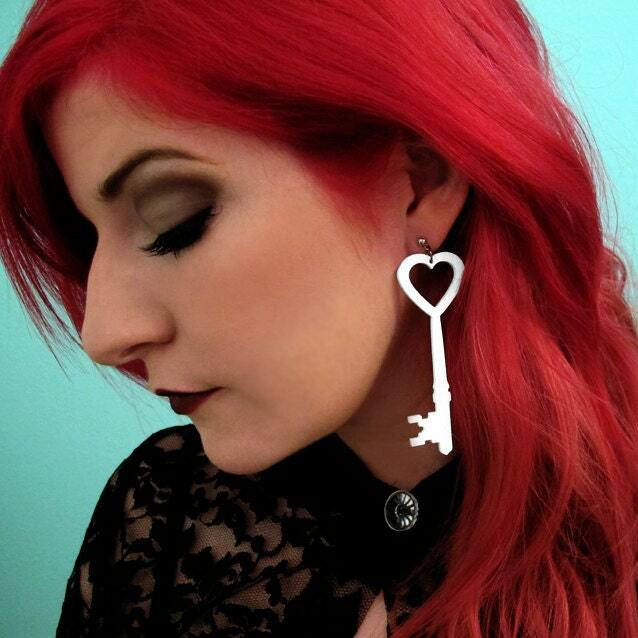 This pair of mis-matched earrings has 1 Heart Shaped Skeleton Key and 1 Heart Shaped Lock. 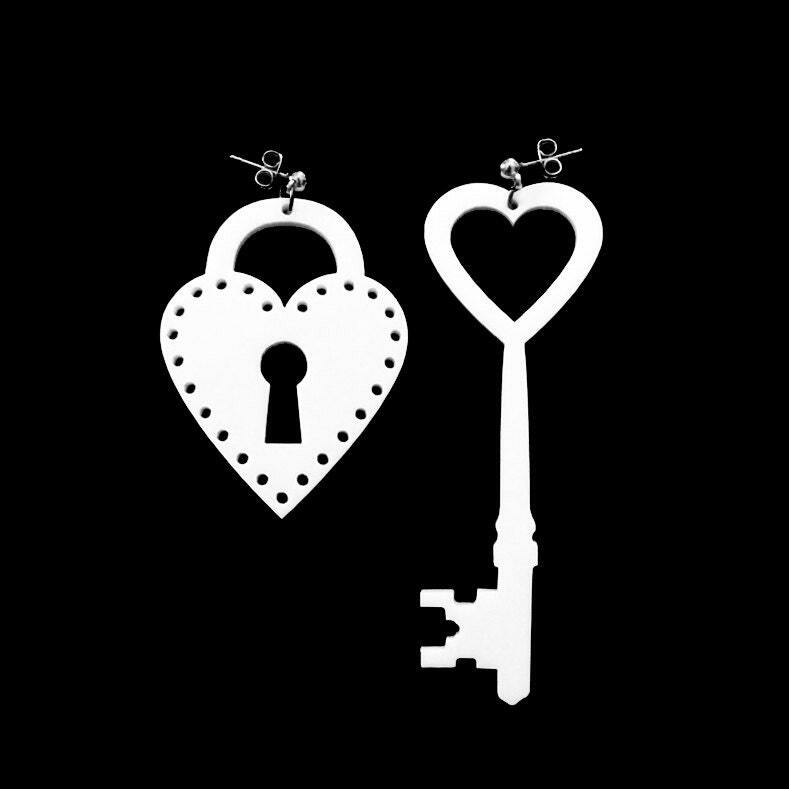 The Heart Lock is 2" and the Heart Skeleton Key is 3.25" at those sizes they are big, eye catching, and not recommended for those who like to blend in, especially if you get one of our bright colors! 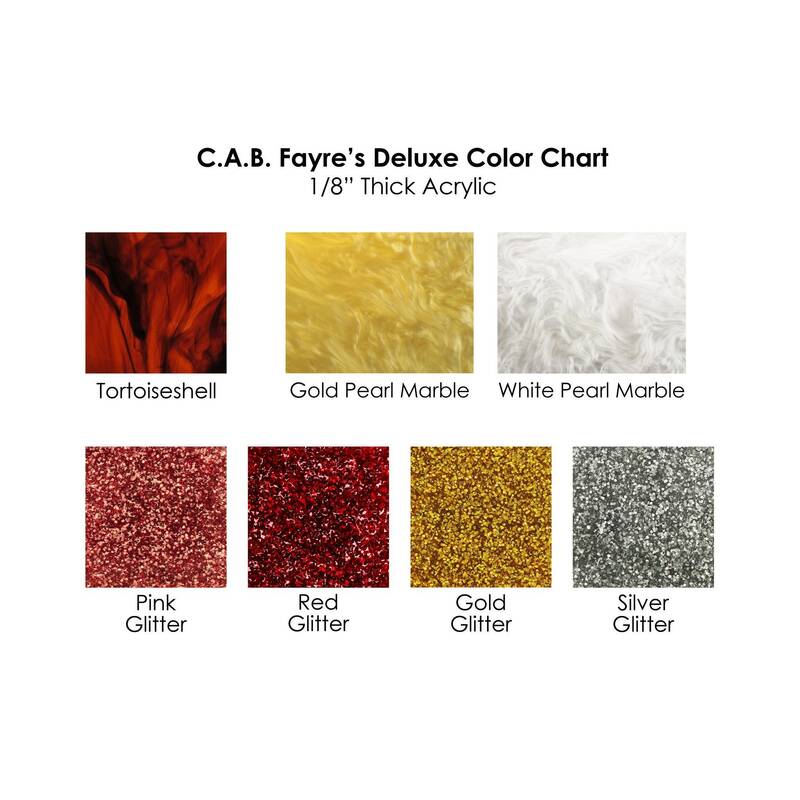 We have 37 colors to choose from including glitters, neons, metallics, woods, & tortoiseshell! 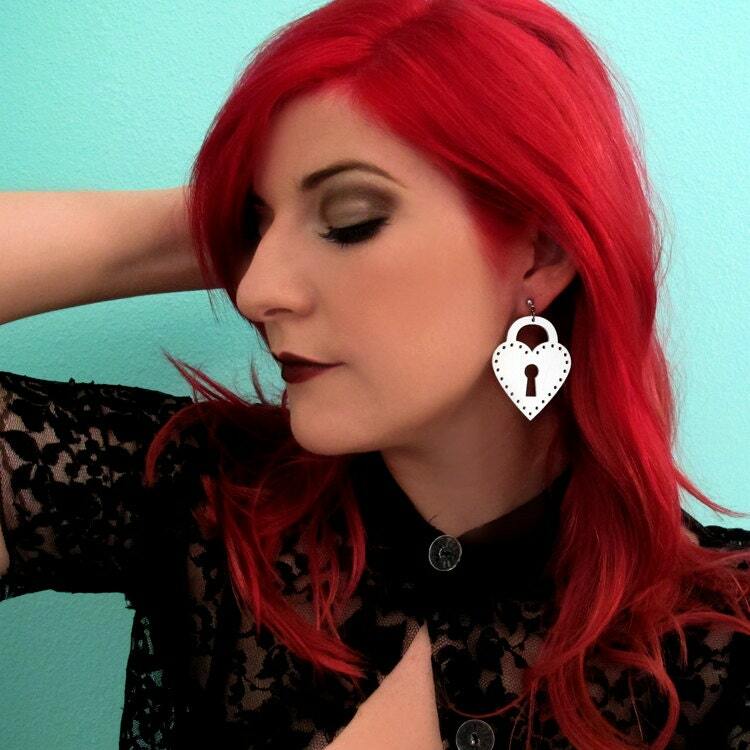 They come on earring studs with both metal and rubber backs, also available with wire hooks that come with rubber backs.